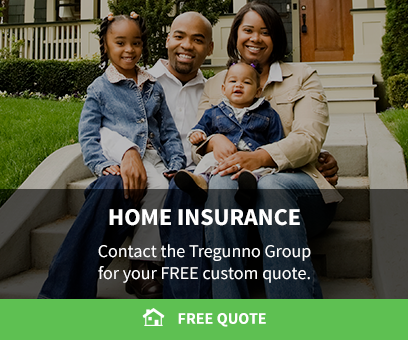 Wondering why you should connect with The Tregunno Group? Let Greg Tregunno's Mission tell you why! My career goal has always been to create a business within my community in Burlington, Ontario and together with a team offer a unique and original customer experience. Insurance isn’t all that exciting to most. The brokerage side can be complacent with years of tradition and leaders set in old ways. It is my belief that the inability to adapt to changing client expectations results in the cost of client satisfaction and the longevity of the business. My team at Youngs Insurance has a different approach. The Tregunno Group is committed to evolve with our clients by offering traditional and nontraditional service styles to make all clients feel a part of my team. Educating clients is paramount, and where I provide the most value is not only providing insurance for today’s needs but by using our “forward thinking” philosophy we make a road map with clients to show how their personal profile or risk classification can change over the course of 1,3 and 5 years. We show them their future milestones and explain our plan to maximize coverage and value one milestone at a time. This isn’t sales. This is portfolio management. As a proprietary affiliate of Youngs Insurance, and the leading member of The Tregunno Group, my goal is to educate and inform our clients so they feel empowered in the coverage decisions they make. Feel Free Contact us to discuss your insurance needs.